After several attempts to break through the ice barrier currently surrounding Rothera, we have spent the past few days bobbing about on the ice edge hoping the sea ice will shift to allow access. Yesterday the sea mist, which has been engulfing us for several days, finally cleared allowing good visibility for the Twin Otter VP-FAZ to fly-over. 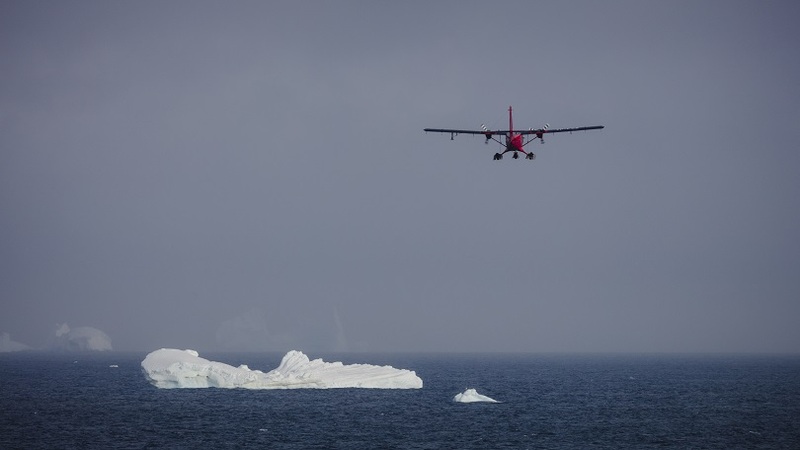 The flyover aerially assessed any shifts in the ice and possible new access routes to Rothera. During these days on the ice edge, we have seized the opportunity to partake in some additional science. We kept ourselves busy with trawls of the seabed in search of benthic organisms, and took a series of oceanographic measurements and sea-bottom photographs across the Marguerite Trough. The Shallow Underwater Camera System picked up some cool critters, known as Sea pigs, living along the continental shelf. These little creatures deposit feed i.e. 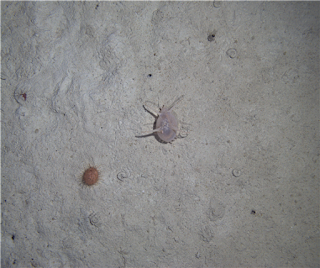 pick up particles of detritus off the sea floor – a bit like pigs hunting for truffles. A basket star was also spotted which uses its branched arms to filter food particles from the water column. Feeling upbeat after some science, whilst tucking into an excellent Monkfish starter and apple pie for dessert, it was announced that we were to attempt to reach Rothera again. We gathered up on the Monkey Island, huddled like penguins against the bitter wind, to watch our approach to the ice edge. 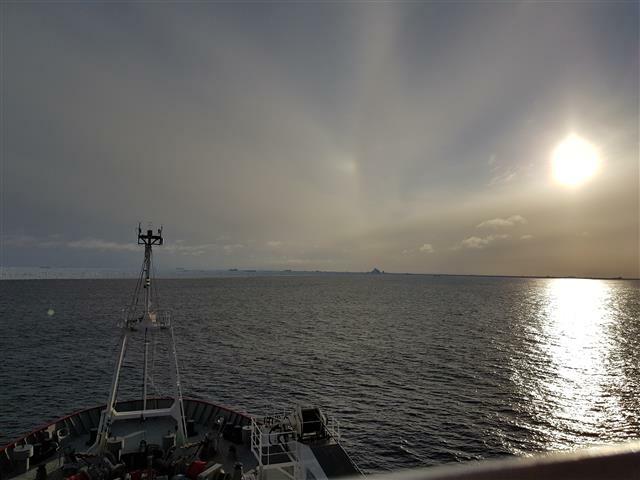 It was very unworldly as we left the grey waters and crossed onto a white, rugged landscape of ice chunks sparking in the evening sun and undulating gently in the swell. Giant icebergs loomed on the horizon like a distant cityscape, and the occasional Crabeater seal lazily slithered out of our way across pancake-like ice plates. Arcs of rainbow flickered around the setting sun – otherwise known as Sundogs or parhelia. It was quite a magical moment! 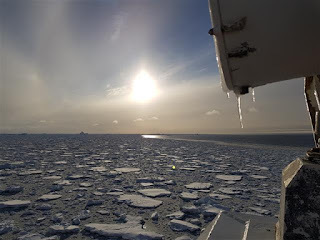 So, keep posted for the next episode in the Icebergs scientific endeavors – will we make it to Rothera this time?! Flyover by the Twin Otter VP-FAZ. 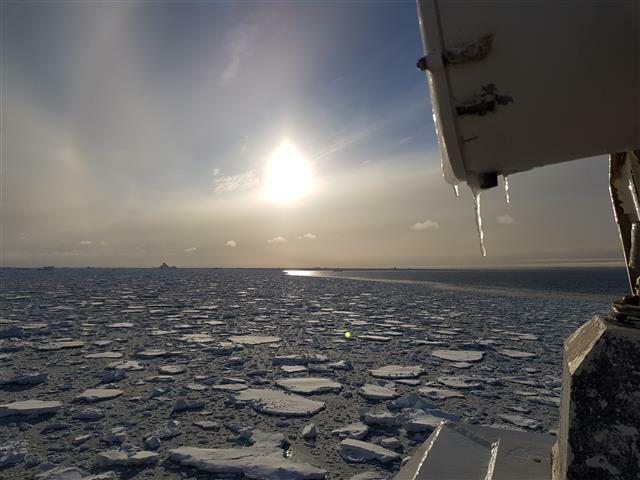 Entering the sea ice with the sundogs around the sun.